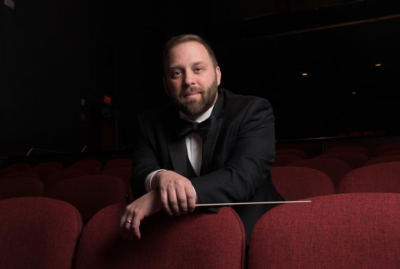 Newly appointed Music Director of the Flagstaff Symphony Orchestra in Arizona, American conductor Charles Latshaw also maintains his post as Music Director of the Grand Junction Symphony Orchestra in Colorado, a post he has held for the last two seasons. Prior to 2016 Latshaw was director of the Kent Blossom Music Festival and the Kent State University Orchestra and formerly Artistic Director and Conductor of the Bloomington Symphony Orchestra in Indiana. Latshaw has also held positions with the Indianapolis Symphony Orchestra, the Columbus Indiana Philharmonic, the Washington Sinfonietta and the Ars Nova Chamber Orchestra. He holds the distinction of being selected by members of the Vienna Philharmonic as their Herbert von Karajan Conducting Fellow in 2007. Firmly dedicated to bringing orchestral music to new audiences, particularly the young, he has taught band, choir, general music and musical theatre to students of all ages. In this capacity he served as faculty for numerous summer programs including the Rocky Ridge Music Center, the Columbus Indiana Philharmonic Strings Camp and the Palace Theatre summer programs. Additionally, he has led “Side by Side” concerts for high school students with the Indianapolis Symphony, the Columbus Indiana Philharmonic and the Bloomington Symphony Orchestra. In his efforts to expand audiences for newly-created, accessible contemporary compositions, Latshaw has premiered more than thirty new works for chamber groups, youth orchestras and full symphony orchestras, many of his own commissioning.